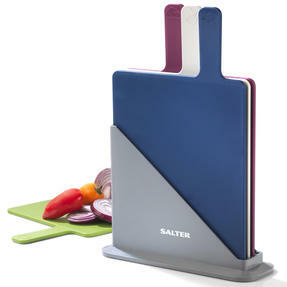 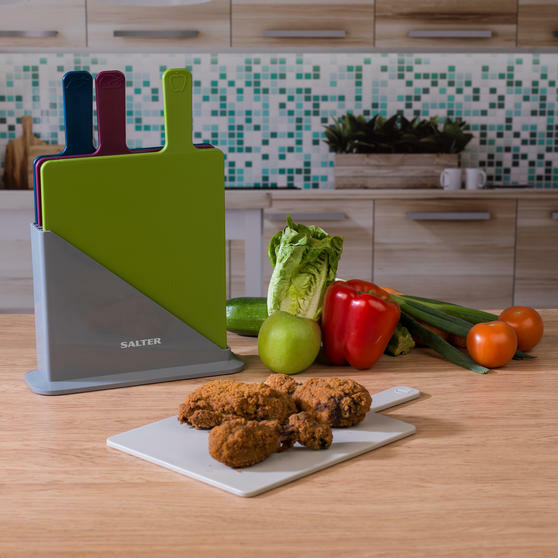 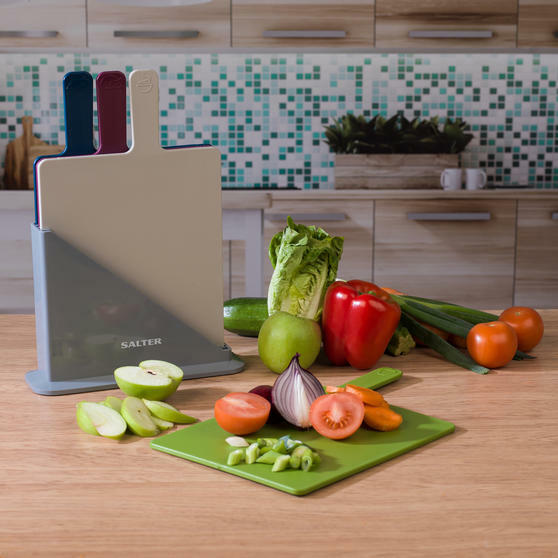 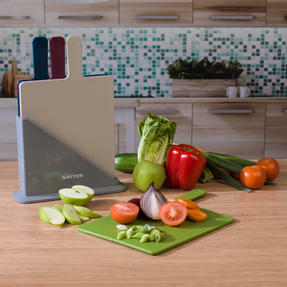 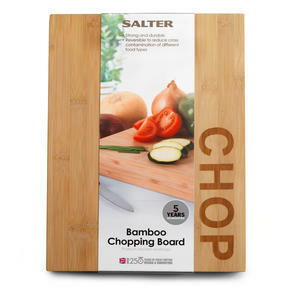 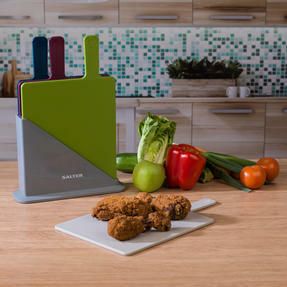 This set of four chopping boards by Salter is an essential for your everyday food preparation. Colour coded and branded with food category logos for advanced hygiene, so you can keep your meats, vegetables, bread and other foods separate in the kitchen. 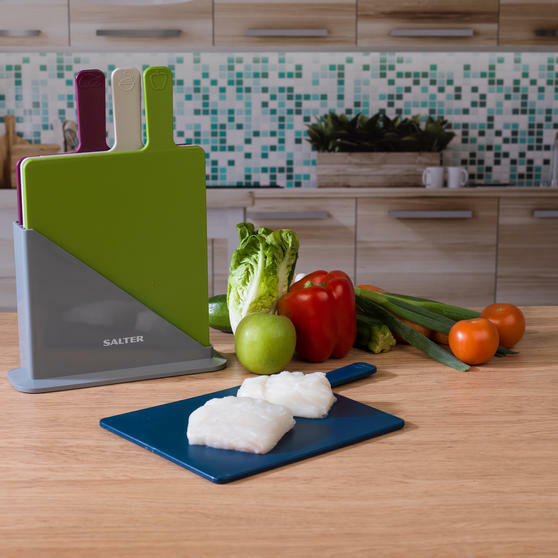 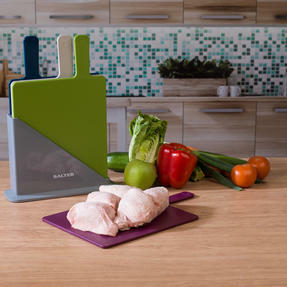 Stored in a smart non-slip stand, the coloured paddles are beautifully displayed for quick access and will look lovely on your worktop. 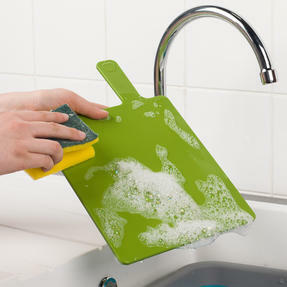 Made with incredibly durable plastic, you can simply place the boards in your dishwasher for easy clean up. Practical and stylish in design, these Salter chopping boards are neatly stored in a holder which will look lovely on your countertop. 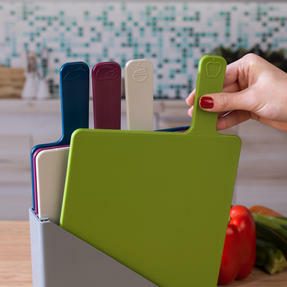 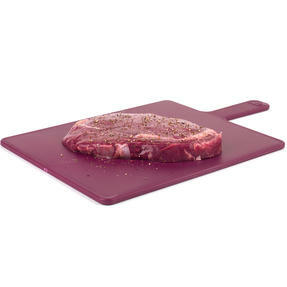 The set of four includes a blue, green, purple and grey chopping board, each measuring 19 x 34 cm for all of your food prep needs. Avoid cross contamination as you prepare fresh ingredients – they also feature logos on the paddles to easily identify which to use. 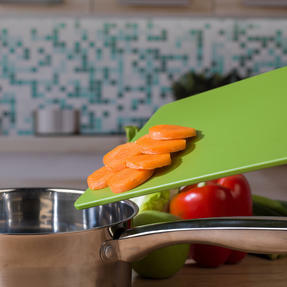 For advanced hygiene and strength, the boards are made from polypropylene plastic, built to withstand the demands of a busy kitchen. Simply wipe the boards clean with soapy water after use; they are also completely dishwasher safe for truly effortless clean up.